They're the Best in the West! 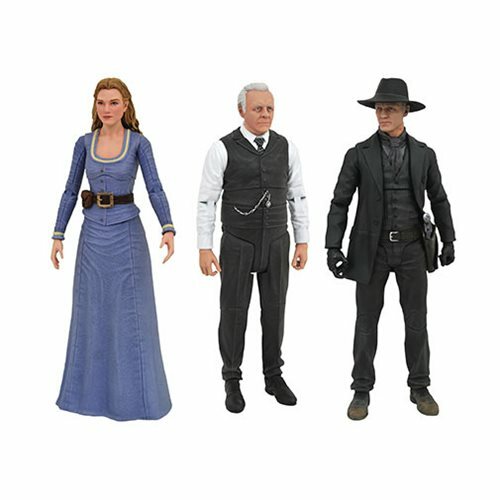 Riding out from the hit TV series, this assortment of action figures captures three of the main characters from Westworld in 7-inch scale. Detailed sculpts of Delores, the Man in Black and Dr. Robert Ford each feature character-appropriate articulation and accessories - Delores with her groceries, the Man in Black with his maze scalp, and Ford with his dog - an each comes with a piece of a larger maze artifact!